Known for its highly uplifting, cleansing and clearing properties. Can help with teenage skin issues. Excellent when serving as a natural household surface cleaner. Yes! 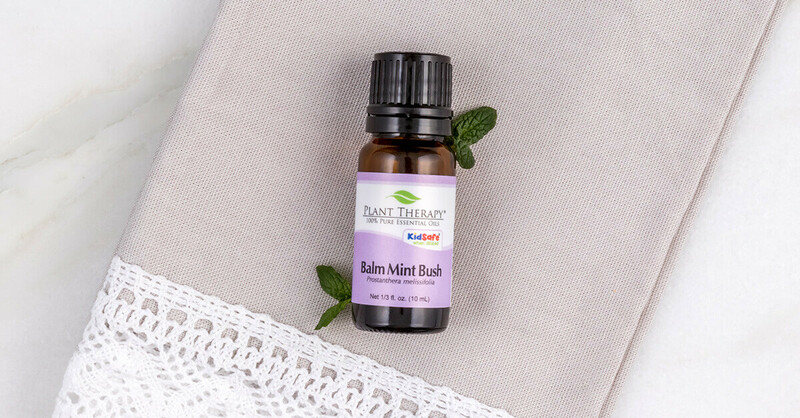 Balm Mint Bush IS KidSafe. Dilute in your favorite carrier oil for a revitalizing massage oil. Basil Linalool, Cajeput, Cardamom, Cedarwood, Citronella, Eucalyptus Globulus, Frankincense, Lavender, Lemon, Peppermint, Rosalina, Rosemary 1,8-Cineole, Sandalwood Australian, Spearmint, Orange Sweet, and Tea Tree. I have recently mixed this with lavender in a homemade body wash. They pair well together! I just got my Balm Mint Bush in the mail yesterday and I LOVE it. It’s kind of like a calmer version of peppermint and eucalyptus mixed together. It has that distinct peppermint smell but also an herbal note similar to eucalyptus. It is milder so I can see myself diffusing at night with other calming oils to promote clear breathing during sleep. After only one day I can already tell this is one of my favorite oils and I will be going to it frequently. 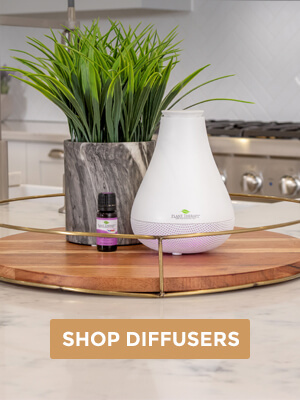 I’m new to the benefits of essential oils but I have to say, I love how easy the information is to find on this website. As far as if the oil is kid safe and how to best use it. I just got mine in the oily mail today! 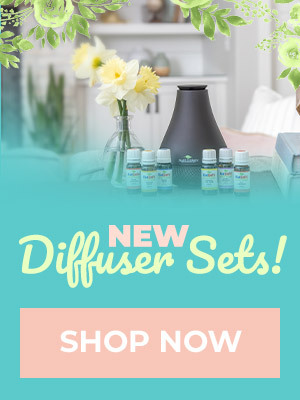 I read that it’s good for tension headaches, how would I use it in a roll on, personal inhaler, and diffuser blend for these? Thanks so much! Is this calming or energizing? It seems like it does both. Thanks! Recently tried Fragonia with Balm Mint Bush. Great smell and very calming. Love it. Ordering Balm Mint Bush right now. Looking forward to the Minty Mojito blend!! 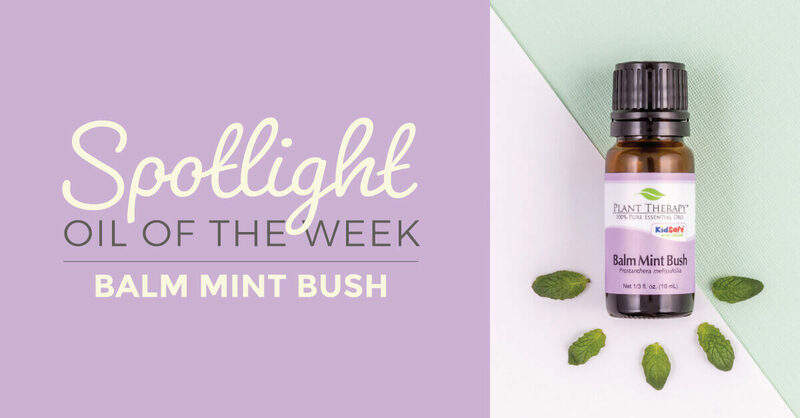 How does Balm Mint Bush compare with other mint essential oil in terms of usage? Balm Mint Bush is a favorite of mine. I do lots of diffusing with it, but really should add it to my cleaning solutions. Excited to see it as the Oil of the Week. Thanks PT! This sounds so good! I’ve been wanting to try it for a long time. I’m not sure whether I will splurge now or wait until CAM! Thanks PT for such amazing products and sales! I just purchased this yesterday & can’t wait to try it. I saw there was no peppermint oil that was safe for kids, so hopefully this will be a great oil when my daughter has a cough. I’ll be adding this to my wish list!! I’m really struggling with deciding to purchase this or not, it seems like a great addition to my collection but if I do, I have to buy another case! Excited to try this one! 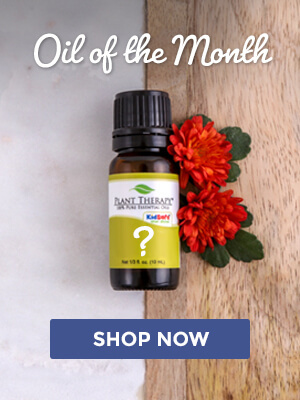 I am getting really tired of tea tree and this sounds like a great way to change it up! The part on teenage acne got my attention, however, it is safe/gentle on all skin types? My teenager is multiracial with a medium brown skin tone. What carrier do you recommend if you’re making a type of toner with tea tree? Thanks! Excited to try this oil! I plan on using it to make an all natural cleaner for around the house. I’m really looking forward for an eucalyptus-smelling EO that is safe for kids! Looking forward to adding this to my collection for my occasional acne issues. Going to have get this for my daughter. She’s at that age where she’s starting to have breakouts. What would be the best way to apply this for the breakouts? Katherine, if you have a roll-on bottle that would really be ideal here. Otherwise, you can keep this mixture in any small, airtight container. Just take 2 tsp (10 mL) of a carrier oil and add 3 drops of Balm Mint Bush. This makes a 1% dilution. Then, apply a small bit of that directly to the area of concern 🙂 If you’re wondering what carrier oil you should try for breakouts, I recommend Grapeseed Carrier or Jojoba. This may take some experimenting as everyone’s skin reacts in their own unique way, but generally, those two carrier oils have given a lot of people success. I’m going to have to try this for my daughter’s acne! Is there a recipe for using this on the face? Michelle, it’s as simple as adding just 3 drops of Balm Mint Bush to 2 tsp (10 mL) of a carrier oil (try Grapeseed or Jojoba, but there are many other great skin-loving carrier oils to choose from), and dab a small amount of that mixture onto the area of concern 🙂 If you’re finding success, you can make this in a much larger batch and keep in stored in an airtight container. I’m looking forward to trying this oil. I’ve smelled it and it has a very pleasant scent. Sounds fabulous. I’m always looking for new cleaning scents. I like to switch it up. I’ll have to try this one. Thanks PT ~ you’re the best! How would you use this as a surface cleaner, and are there any oils that can be used as a cleaner? My teenager just told me last night how much his acne was bothering him. I think I may have to try this, thank you for the great info! A favorite! Thank you for the opportunity to down size. I originally bought the 100 ml bottle and will now buy the 10 ml so I can carry this with me in my purse. It is that precious and helpful to me!